There are no comments for Trout Lake South. Click here to post the first comment. 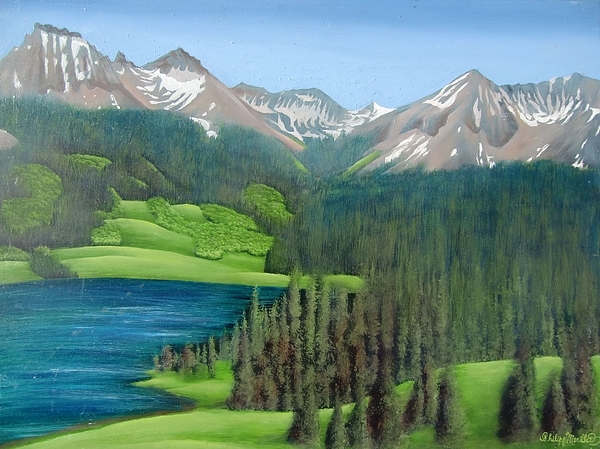 This painting is of the southern portion of Trout Lake which is a short drive from Telluride, Colorado. 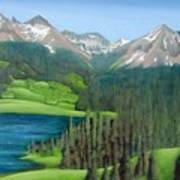 The painting was exhibited at Elinoff Gallery in Telluride and may be for sale. The painting was done plein air. 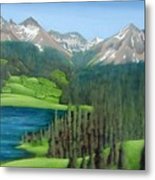 The reason the painting is shown as available for sale with a price of zero is because the gallery has priced the painting. 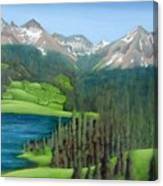 The painting is paired with another of the other side of the lake. That's another painting, not another lake. And that's not humour either on either side of the lake. Ha, ha. They must've smelt me old masters and called it authenticizin' 'em.